The Flame Warden event started last night, which is rather enjoyable, because it is easy money to walk around the continent for new characters, or those who didn’t do it last year. The Achievements aren’t all that bad either, so adding it to your collection shouldn’t be to tough as long as you can get the set of clothes or had the set of clothes at some point. That being said, the really tough part of this whole thing is the silly daily the involves chucking 10 torches / hitting 25 braziers. The 10 torches one I found could be solved if I went to travel form, and set my camera something like what is pictured to the left there. That having been said, that’s really the only tough part of this meta achievement, much like the Elders, this one just involves a lot of walking to get all the spots on the map. Although I did find it kind of hard to believe that they would let me do the Ribbon Poll dance in tree form, something just didn’t seem quite right about that when they wouldn’t let me do the same dance in cat form. but all things aside, I suppose that isn’t to much of a big deal, and it is quite funny to think of tree form voluntarily lighting itself on fire for amusement. The great thing about this festival is you’re going to be in all the old zones, so take the time to set your old quest tracker on if you’re going for Loremaster. All and all its just another achievement towards getting that violet proto Drake [I messed up and won’t be getting mine till what looks like next “Love is in the Air”], and should be a fun time for all, gather a group of friends and make your way around the old continent. 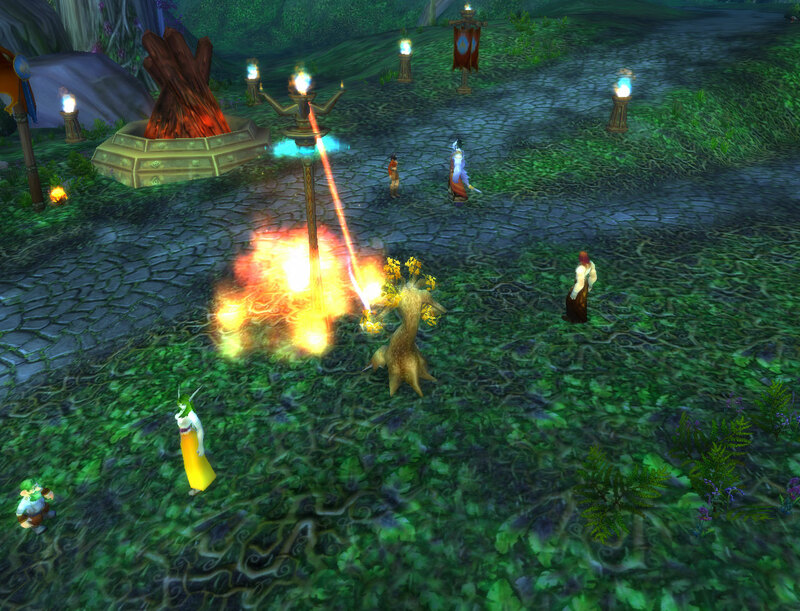 A fair warning to you folks leveling on PvP servers, all the 80’s especially those who usually are busy just raiding northrend are back in town and will be all over the place.